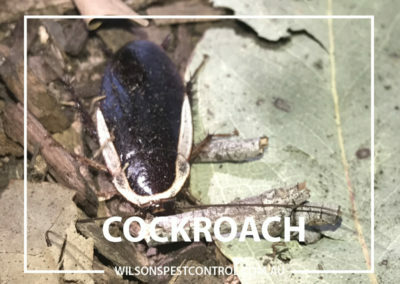 Cockroaches are medium to large insects, they are scavengers. The cockroach originated in tropical or sub-tropical Africa. The cockroaches were spread to other parts of the world by ships, carriages, trains and planes. Cockroaches are adaptable to many conditions. 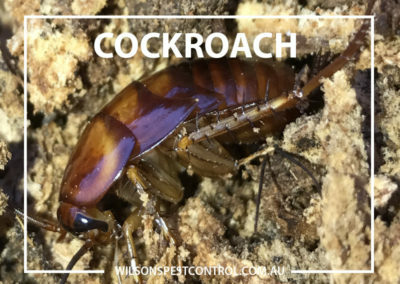 Did you know that Cockroaches are considered to be the ancient ancestors of termites. People have made available food and harborage areas that the cockroach thrives in. 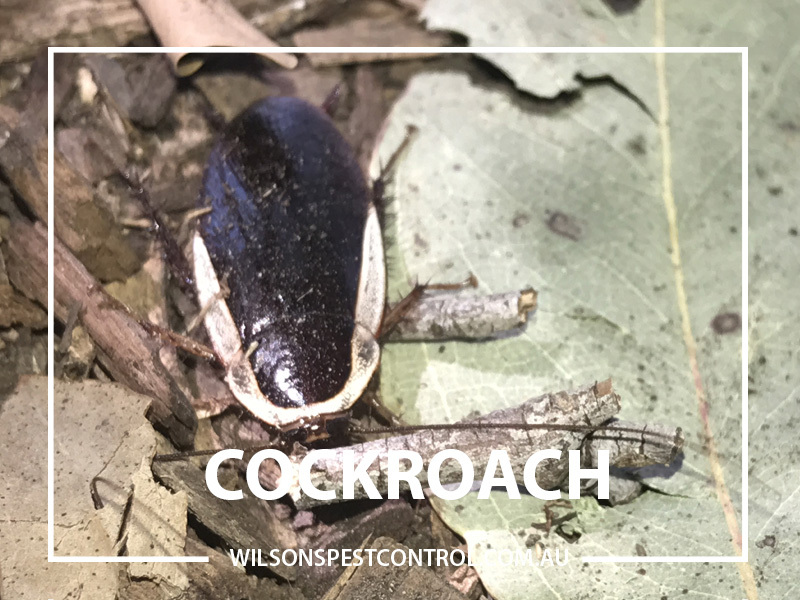 The Cockroach needs food and water to survive and we as humans need to remove the food and water source to discourage this pest from thriving. As well ensure we keep a clean environment. Eggs are developed in the female. The egg capsules called oothecal may contain 12 to 40 eggs each. Life span range from a few months to over a year. They contaminate food, have an unpleasant odour, spread disease and breed prolifically. 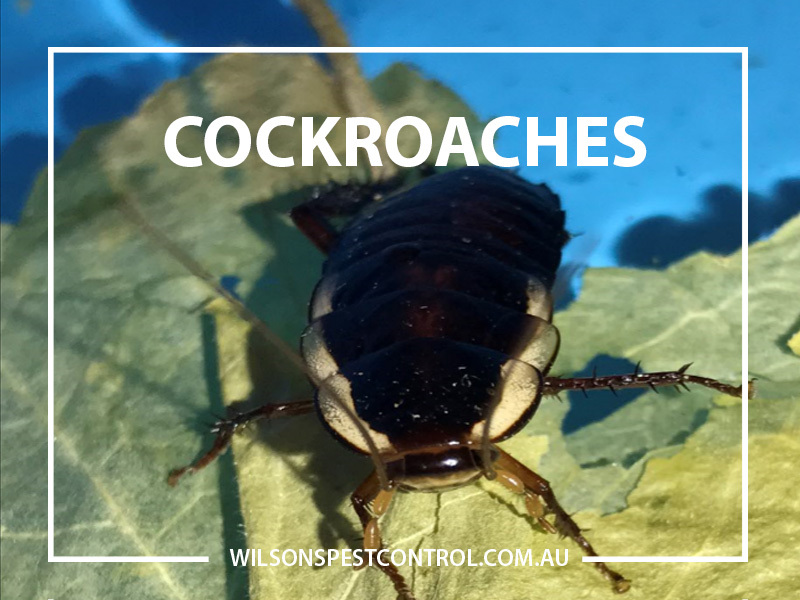 Cockroaches are nocturnal, and hide during the day, coming out at night. 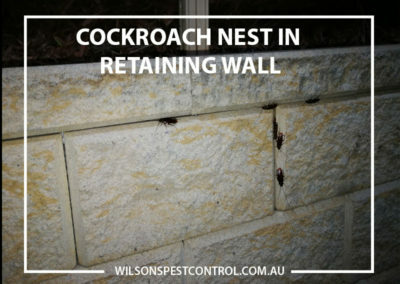 Many property owners may not even be aware they have a infestation problem at their property. 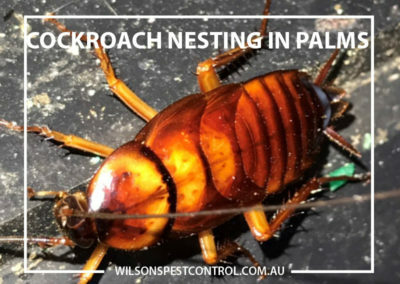 Cockroaches are thigmotactic; meaning they like contact on both sides of their body, they find tight cracks and crevices in which to hide and feel secure. 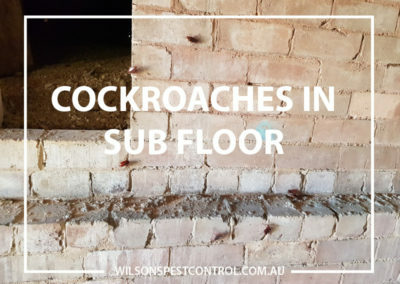 The common Australian Cockroach prefers plan origin food, they are found in gardens, sub floors, roof voids, factories, wood piles then to be encountered in warm conditions. 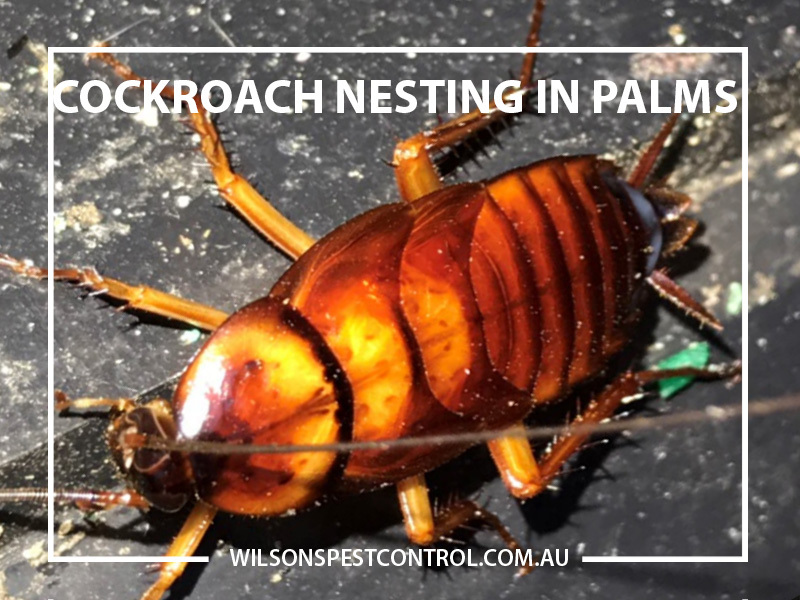 The female lays the egg and the shell contains 16 – 24 eggs, each female can have up to 20 egg cases, moults up to 12 times in life, the cockroach develops in 6 – 12 month, life span is 4 to 8 months. 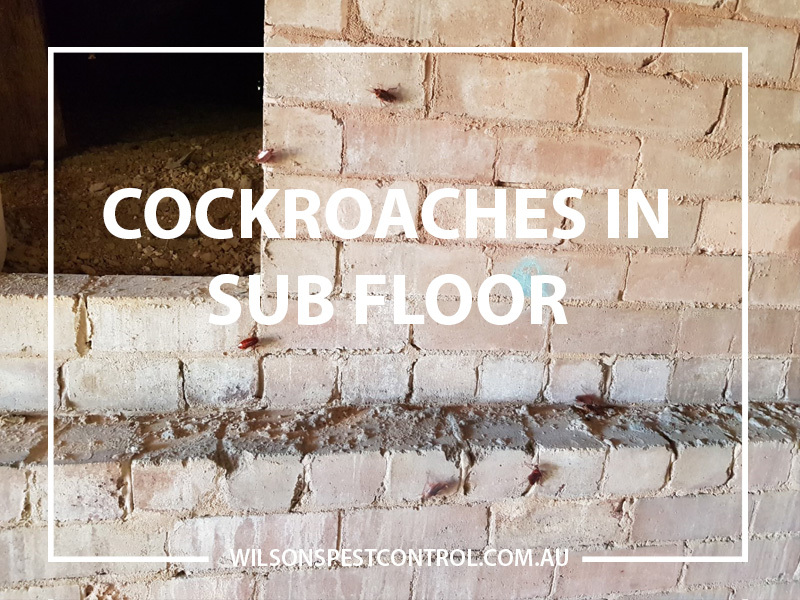 German Cockroaches are by far the most difficult to control, we have a solution and can recommend a management plan to eliminate and keep them under control. German cockroaches have three stages of development; egg, nymph, and adult. Female produce a light brown, oval-shaped egg capsule, the capsule contains up to 30 – 40 eggs, and adult females usually produce five to eight egg capsules in a lifetime. One egg capsule is produced about every 4 weeks. 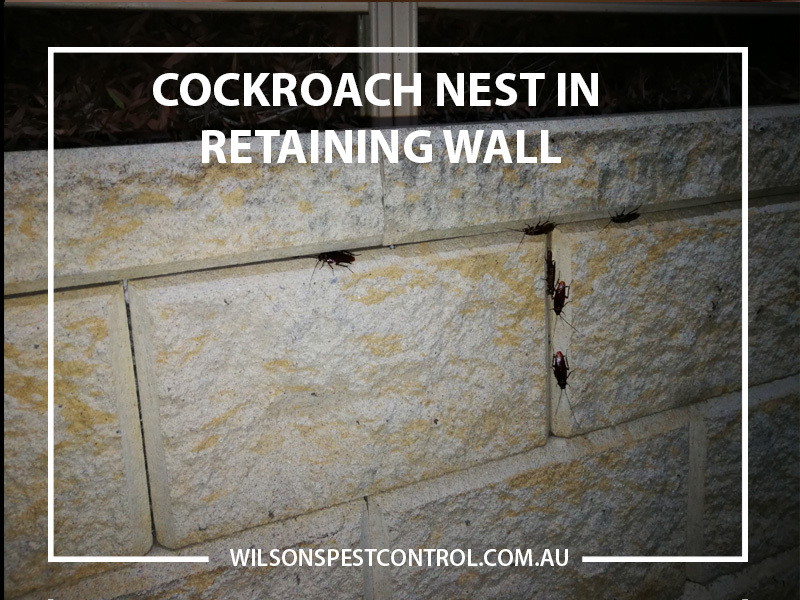 At hatching time they are deposited into cracks and crevices which are located in a sheltered area. It takes 28 days for the capsule to hatch from the time it begins to form. The length of the egg stage varies from 14 to 35 days, with six to seven nymphal stages occurring over a period of 4 to 31 weeks. The life span of the adult female varies from 20 to 30 weeks. In one year over 10,000 descendants can be produced. German cockroaches produce secretions and an odour. The German Cockroach infests and spreads diseases & bacteria, viruses. 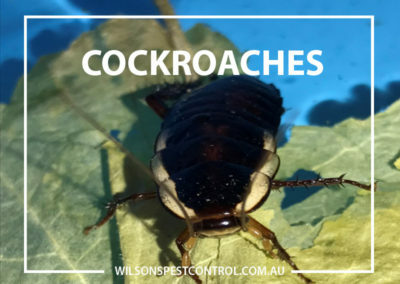 It is difficult to keep cockroaches from entering, your business. German Cockroaches arrive in parcels that are transferred to your home, grocery bags, suitcases, they get into the cardboard packaging at you get shipped or bring home, they are in electrical appliances in clocks of microwave ovens, dishwashers, warm fridge motors and washing machines to name a few. The key is to ensure you keep a clean environment; clean up all food spills, crumbs on the floor. Do not leave dirty dishes overnight. Store items such as spices, cereal, flour, sugar, biscuits and bread in airtight sealed containers and store your fresh produce in the fridge. Make sure you empty the garbage bin from the kitchen each evening into an outside bin and tie and seal the bag before putting in the outside bin. The use of residual insecticidal sprays or aerosol foggers is of little value in controlling German cockroaches. 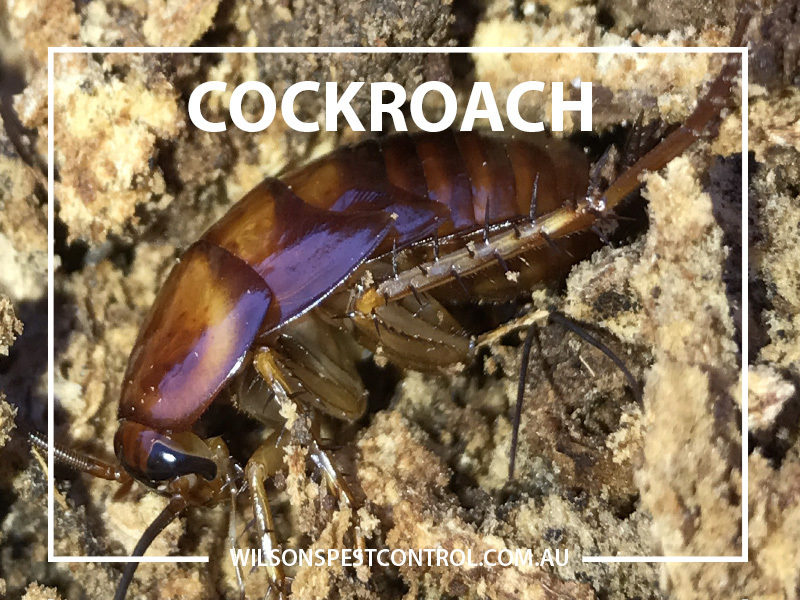 Call Wilson’s Pest Control on 0451 590 398 to arrange a free consultation of your property and to discuss our range of effective solutions.